Lots of ice cream to choose from: I stared longingly at the chocolate moose trail, which had thick pieces of fudge and mini-peanut butter cups embedded in chocolate ice cream. And the graham slam looked intriguing: graham ice cream with graham ribbons and chocolate-covered pieces of graham cracker. 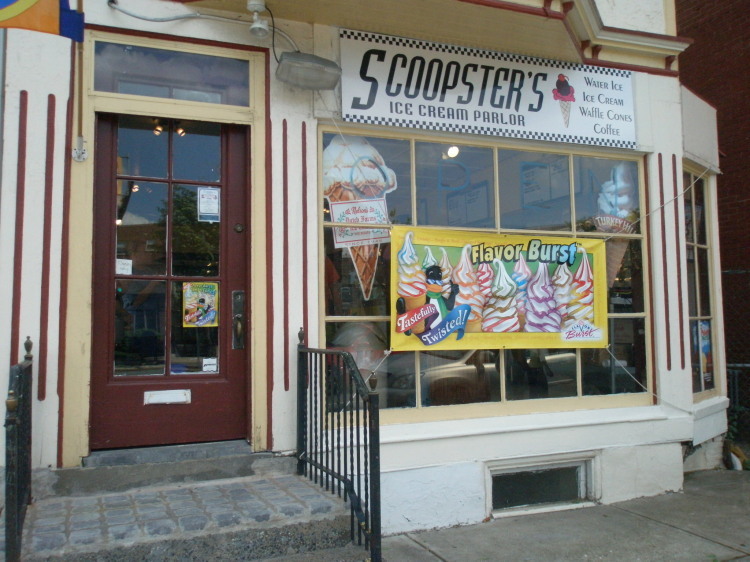 In addition to the awesome flavors, the prices should put Scoopster’s immediately into the regular rotation for every family and sports team in the area. Ice cream goes for $1.75-$3.50, plus tax. Water ice goes for $.94-$2.50, plus tax. And they’ve got “small prices for small children,” which translates to a pee-wee serving of water ice that’s just 75 cents (plus tax), and ice cream that’s just 94 cents (plus tax) for children 7 and under. Nachos, soft pretzels and hot dogs are available, too. 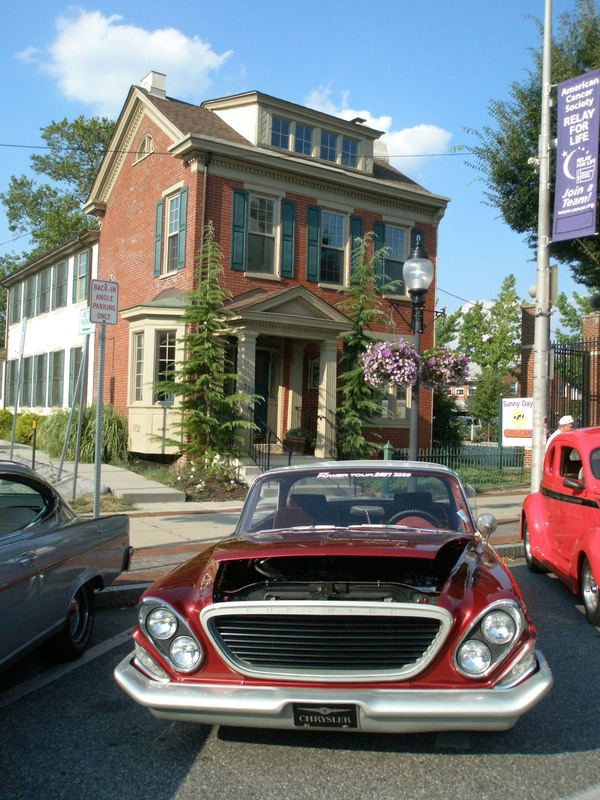 Scoopster’s is owned by John and Ellen Lettiere, who also own Fine Fixin’s Deli at High and Keim Streets, so you’re assured of good quality & service at prices that won’t break the budget. Look – the sun is shining and summer is in the air. What better time to take your pick of warm weather treats and give ’em a try? Hours are 11am-9 pm Monday-Saturday. They’re open on Sundays, although regular hours aren’t set yet. Sue, this is great descriptive writing. Keep up the good work! Thanks, Joe – I’m having fun, too!